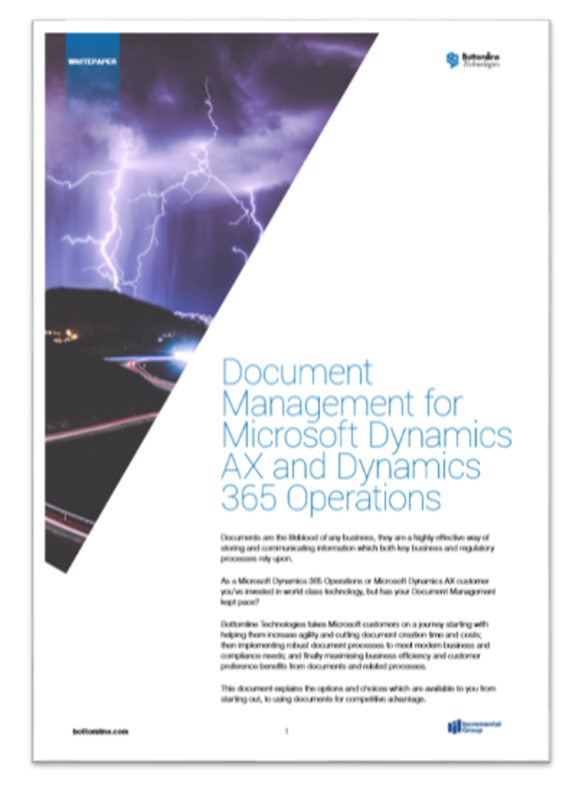 Bottomline Technologies has created a solution specifically designed to improve document management within Dynamics AX and 365. The solution is called PrecisionForms. Bottomline also offers a wider suite of products with similar functionality that work for non Dynamics AX and 365 users called Transform. A product guide to Precision Forms. A whitepaper on Document and management with insight on the bottomline solutions.